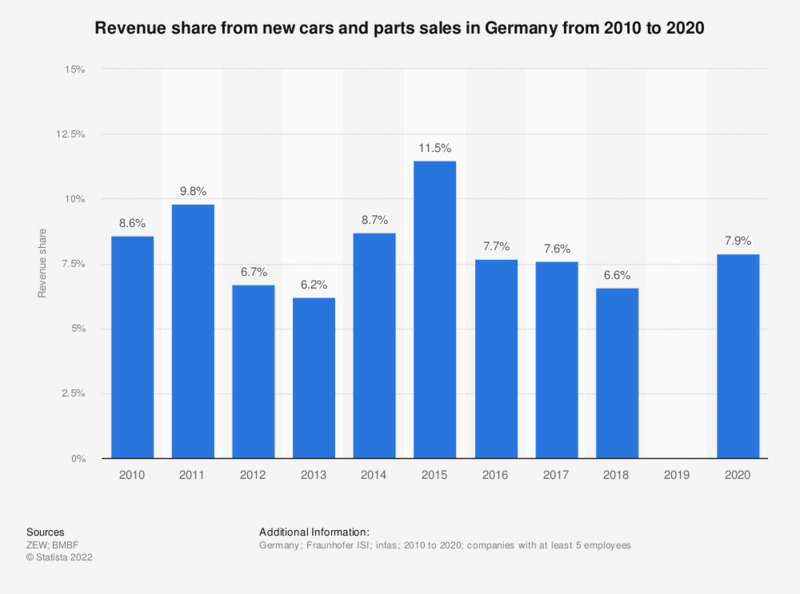 This statistic shows the revenue share from new car sales in Germany from 2008 to 2017. In 2017, the revenue share amounted to 7.6 percent. The German Innovation Survey is conducted on behalf of the Federal Ministry for Education and Research by the Center for European Economic Research since 1993, in cooperation with infas (institute for applied social sciences), as well as the Fraunhofer-Institut for system and innovation research (ISI). Are you planning to buy a new car in the next twelve months?